Whether you are planning on adding some luxurious updates to your home in anticipation of selling, or you just bought a new home and want to maximize your comfort, bathroom upgrades are the way to go. From bath time with your kids to getting ready for work in the morning, to unwinding at the end of a long day with a hot bath, you probably spend more time in the bathroom than you realize. The bathroom is one of those rooms that's easy to overlook when thinking about extras. Do you have a shower curtain? Check. Bath mat, towels and toothbrush holder? Check, check and check. And a lot of the time, that's where it stops. There are, however, a good number of upgrades you can make to turn the location of your rushed morning routine into an enjoyable place to start the day. One of the simplest modifications you can make to your bathroom to swap out your plain towel rack for a towel warmer rack. These electric warmers have enough room and power to warm a full set of bath, hand and face towels while using less power than the average light bulb running on 110 volts. All you have to do is mount it or place it on the floor, plug it in, and flip the switch to the "On" position when you're ready to use it. Towel warmer racks not only warm towels, but they can bring your clothing and blankets to a nice toasty temperature, as well. Furthermore, these handy racks also dry towels post-use, which helps eliminate smells and keep bathrooms mildew free. While ceramic and porcelain tile is attractive and easy to clean, it also gets downright chilly, especially in the winter months. Imagine waking up in the morning and instead of shuffling along the shockingly cold tile, your feet are welcomed by warmth. When you splurge on radiant heat floors for your bathroom, you can have this level of comfort and luxury whenever you wish. In the installation process, your electrician and tile installer will work together to lay heating cables which interlace with mesh mats and sandwich between layers of thinset. Then they cover it with ceramic, porcelain or stone tile. Some heating systems even offer a programmable thermostat which will preheat the floor for you every morning before you even leave your bed. 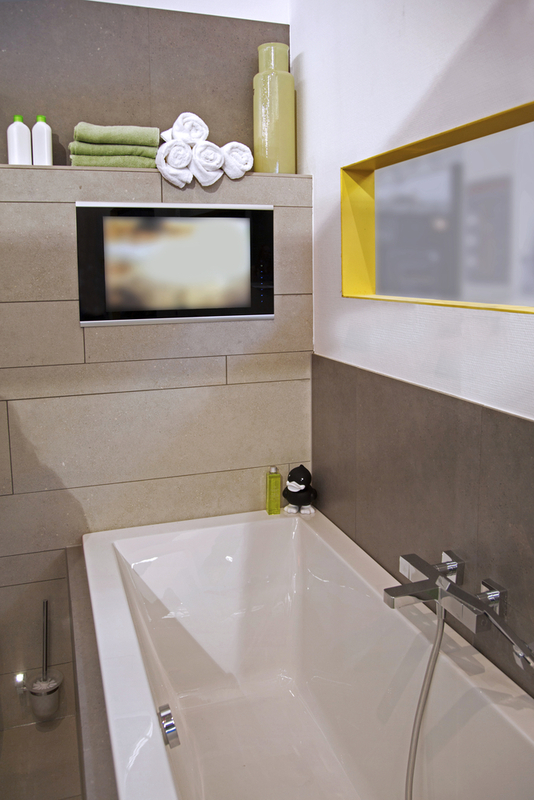 The bathroom is usually not the first room most people think of when they plan for high definition TVs and surround sound systems, but these devices are no longer strictly for living rooms and man caves. Today's best bathrooms are wired for media junkies so you can watch the morning news while you shave, listen and sing along to your favorite songs while you shower, and never have to miss a minute of the big game again. 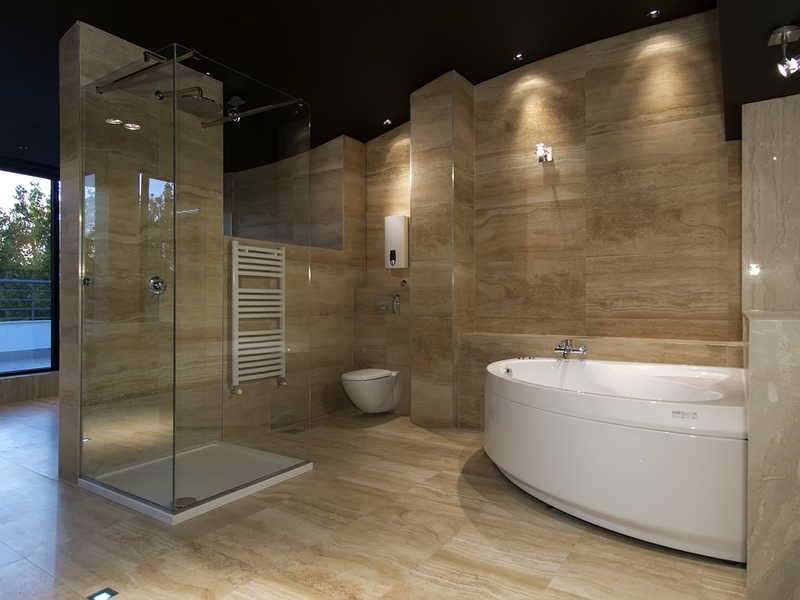 These are just a few of the luxurious updates you can make to your bathroom, raising the value for potential buyers or making your new home that much more exciting for you and your family. What are some other indulging upgrades you've considered? Home Depot's Sarah Kellner writes on bathroom décor, providing advice to homeowners and renters on accessories and storage. A wide selection of products to upgrade your bathroom, including towel warmers mentioned by Sarah, can be found at Home Depot online.